Shell & Soul Massage, Skincare and Waxing is proud to work out of Tucson Touch Therapies. 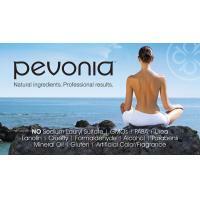 I offer to wax for face and body, facials and skincare using Pevonia products which are unsurpassed in natural skincare for effectiveness that's tailored to your unique skin type and lifestyle. I also offer a range of massage modalities including relaxing Swedish and pregnancy/post-partum massage, as well as more specialized massage including manual lymphatic drainage, oncology, cranial sacral, and medical massage.